Beware! This review contains spoilers! 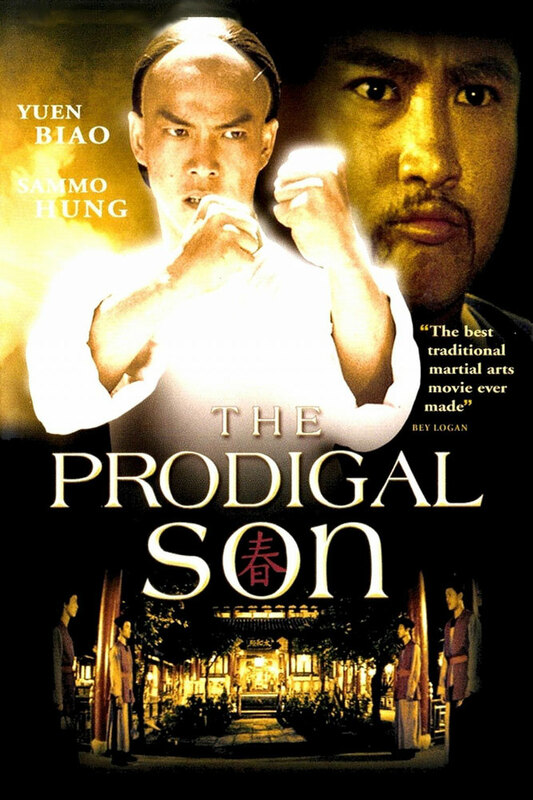 Two of Hong Kong cinema’s greatest action luminaries, Sammo Hung and Yuen Biao, star in this 1981 classic period kung-fu flick, The Prodigal Son. Also known as Pull No Punches, or by its strangely sitcom-esque Cantonese title, Son Ruining the Family, this Hong Kong kung-fu comedy extravaganza showcases the exploits of historical Chinese Wing Chun practitioners, Leung Jan and Leung Yee-tai. Wing Chun, for those unaware, is a concept-based Chinese martial art which utilises both striking and grappling, while specialising in close-range combat. The film earned Hung, Biao and Lam Ching-ying Best Action Choreography honours at the 1983 Hong Kong Film Awards, and for good reason; the fight scenes come thick and fast, the movements are crisp and accurate, and the close-quarter Wing Chun moves are executed with perfection. Considering that the action is achieved without the assistance of any discernible wirework or camera trickery, it’s no wonder The Prodigal Son is regarded by many films fanatics as one of the best kung-fu movies of all time! The exceptional Yuen Biao gives an infectiously cocky rendition of a young Leung Jan in this coming-of-age story. Biao does a tremendous job in portraying the character’s development from an arrogant, spoilt rich kid to a hard-working, disciplined Wing Chun expert. The late Lam Ching-ying gives one of the best performances of his impressive (and too short) career as Leung Yee-tai. Lam is utterly captivating as he serves on and off-screen audiences a well-balanced diet of comedic and theatrical antics, paired with mind-blowing martial arts and a dangerous disposition. Sammo himself plays the amusing Wong Wah-Bo, and is rightfully lauded for his abilities as a performer, when paired with the seemingly infinite abilities of Yuen Biao, the results are absolute magic! The great Frankie Chan portrays Lord Ngai Fei, who is perhaps one of the most interesting “villains” of old school kung-fu cinema, in that his motives seem to be entirely honourable and his only desire is to prove himself a competent fighter. As a side note, Chan also composed the film’s soundtrack. Leung Jan is the privileged son of a wealthy businessman in mid-19th century Foshan, Southern China. Jan wishes to master the art of kung fu, so he dedicates a healthy amount of time to arranging fights with random citizens and beating the hell out of all challengers. Unbeknownst to our prodigal protagonist, his father has arranged for Yee Tong Choi, Jan’s faithful man-servant, to bribe his opponents (with what seem to be fortune cookies) into losing. One evening, Jan’s friends attend a performance by the Lok Fung Lin Chinese Opera troupe. One of Jan’s acquaintances develops a crush on the leading lady and asks her out after the performance. Despite her refusal, Jan’s friend insists and eventually turns to violence. Only after she has thoroughly humiliated Jan’s buddies does the actress reveal herself, or should I say himself, to be none other than renowned Wing Chun master, Leung Yee-tai (at the time, many opponents of the Qing dynasty – including former Shaolin monks and martial arts masters – disguised themselves as travelling opera performers). Upon hearing of his companions’ embarrassment, Jan challenges Yee-tai to a battle at the theatre. As usual, Choi attempts to suborn the competition, but to no avail. After a musically comical warm-up, Yee-tai easily defeats Jan and reveals the truth about his martial arts ineptitude, adding that he’s totally devoid of any skill whatsoever. Feeling betrayed, Jan packs a sad and storms out to confront his father. Subsequent to his father’s match-fixing admission, Jan returns to Yee-tai, offering extravagant gifts in the hope that he’ll teach him the way of Wing Chun. Yee-tai declines, but Jan is persistent. He soon learns through Choi that the Lok Fung Lin Chinese Opera troupe is travelling to Canton. His father casually buys the entire troupe and appoints Jan as Yee-tai’s assistant. Amongst elaborate costumes and patronising showbiz types, Jan shadows Yee-tai for a number of months with the aim of becoming his apprentice. Prior to a show, the troupe’s lead actor, Au reveals he has seduced the wife of a local man, forcing him to leave in fear for his life. Yee-tai decides to thrust Jan into the departing Au’s role as General Guan. But Jan has no idea that the violent husband knows that his wife’s suitor acts General Guan in the play – and due to the dedicated silence of the part, Jan refuses to explain himself once the husband arrives to exact revenge. Hopelessly outnumbered, Jan ends up being destroyed until the skirmish ends up on stage – where Yee-tai fends off the entire group single-handedly. Yee-tai’s Wing Chun skills are witnessed by Lord Ngai Fai, the son of a Manchu duke, who is searching for a worthy opponent. Upon leaving the theatre, Ngai is confronted and challenged by a man that he had fought years previously, and who suffered a shattered arm in the process. In a scene obviously influenced by spaghetti western showdowns (and possibly Japanese chambara films), Ngai gladly obliges, and emerges victorious after a brief, windswept fight. Ngai tracks down Yee-tai at a restaurant, and the the two interlock in one of the most memorably fluid and complex martial arts fights in history. Ngai and Yee-tai are evenly matched until the latter suffers an asthma attack. Ngai stops the fight and postpones it until Yee-tai is healthy. It is revealed that Ngai is also a “prodigal son”, oblivious to the fact that he’s under the ruthless preservation of an overprotective father, although not to the extent to which he’s bereft of basic kung-fu skills, à la Jan. While Yee-tai is recovering in bed, Ngai’s knife-wielding bodyguards infiltrate the Lok Fung Lin theater, massacre the troupe, and burn down the auditorium. Despite practically coughing up a lung, Yee-tai manages to fend off the assassins. While Ngai believes the duo have burned to death, Yee-tai and Jan are able to exfiltrate the theatre undetected. The sickly Yee-tai takes Jan to the home of his martial brother and calligrapher extraordinaire, Wong Wah-bo. With Wong’s help, Jan finally convinces Yee-tai to teach him Wing Chun. Jan trains under both brothers; Yee-tai trains him in Wing Chun, while Wong teaches him freestyle fighting. Brimming with spectacular fight scenes and fascinating kung-fu theory, The Prodigal Son is a highly engrossing peek into the world of Wing Chun. In fact, it was one of the first films to truly showcase Wing Chun on screen, not to mention the high-kicking, fist-flying prowess of Yuen Biao, Sammo Hung, Frankie Chan, and the late Lam Ching-ying. In this day and age of computer-fu, it was incredibly refreshing to see these actors employing moves without the aid of special effects. Even scenes that seem so simple on the surface (like Sammo practicing his calligraphy!) take awesomeness to a whole new level of thanks to the martial arts prowess of these stars. Furthermore, the colourfully elaborate period costumes, scrupulously detailed Peking opera performances and side-splitting Cantonese comedy all work seamlessly along with the hard-hitting action sequences. For me, the most gratifying aspect of The Prodigal Son was to behold Jan’s skill visibly improving over the course of the film, as well as Yee-tai’s reluctance to fight and the effort he takes to conceal his efficient and deadly abilities. The Wing Chun style that Yee-tai teaches Jan is a particularly brutal form of fighting, involving little mercy, whilst actively creating – and focusing on – the wounds of one’s opponents. Because of his size, Wong is only able to teach Jan close-quarter combat. Wong teaches him how to be sneaky, and how to use brute force to overwhelm his opponents. The brothers do well in precisely explaining Wing Chun’s core philosophy and fighting principles. The exercises are highly credible and the theoretical lectures are skillfully balanced with intense sparring sequences. One such sequence involves Yee-tai aiming to improve Jan’s footwork and body positioning during a close range confrontation on a small table. As the story unfolds, the fight scenes become more intense as each battle holds more at stake. Early sparring challenges give way to brutal fights to the death as the film draws to its inevitably dramatic conclusion with one of the finest one-on-one duels in kung-fu cinema history. The action reaches a pinnacle in the final dual between Jan and Ngai, which would be painfully brutal to watch if it wasn’t so perfectly staged. It leaves behind the fantasy, acrobatic and comedic elements of so many other kung-fu screen fights to embrace a harder, higher-impact battle where practicality trumps style. Ultimately though, it’s Sammo’s choreography and sophisticated direction (especially when compared to the zoom-happy style employed by most Hong Kong films of the period) of bruising fight sequences that help propel The Prodigal Son ahead of its time. His coordination of these scenes turn the film into a truly enthralling homage to Wing Chun. Opting to shoot the scenes from wide angles with deep staging and few cuts, Sammo was able to capture this supremely impressive martial art in all its glory. In a film where it seems everyone either possesses a dreadful cold, bizarrely dubbed cockney accent, or cheeky internal monologue, The Prodigal Son could be exalted on its comedic merits alone! Ultimately however, it manages the perfect mix of historical, theatrical, comedic and martial arts ingredients. 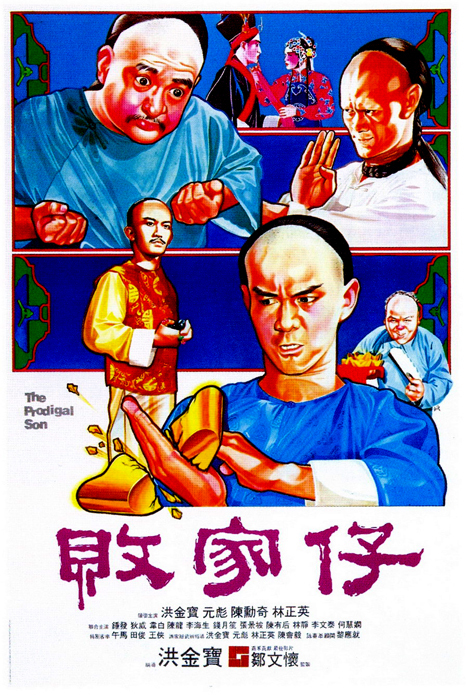 While the events depicted in the film are only tangentially related to actual history, much of the Wing Chun and the theories behind it are entirely accurate – and Sammo entirely dispels any concerns of the dynamism of the style by assembling some of the most impressive martial arts displays in kung-fu film history. Essentially a collection of some of the fastest, most intricate, and entertaining fight scenes ever to be committed to celluloid, married with an affecting, stimulating plot full of wild, memorable characters, The Prodigal Son might just be the very best that old-school martial arts cinema has to offer…! Sammo’s Warriors Two in 1978 featured an older, wiser version of Leung Jan, played by Bryan Leung. Sammo, Yuen and Lam all drew on their own experience working in Peking opera to achieve the high level of detail on display in the theatre scenes. Legendary kung-fu journalist and commentator, Bey Logan calls the initial tussle between Leung and Ngai his very favorite fight. The climactic battle involved Yuen Biao fighting himself at times, as he doubled for some of Frankie Chan’s more acrobatic kicks! Joseph is an enthusiastic film lover of all things martial arts! On of my favorites! Its right up there with Dirty Ho with Gordon Liu! But I think maybe the title of best traditional martial arts movie ever is probably Shaolin and Wutang, though that’s just me. Great article!